I'm selling these fine pink dresses. 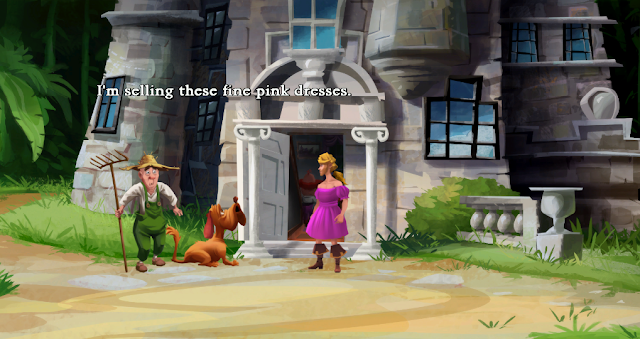 One of the dialog options you can choose when the gardner asks you who you are is "I'm selling these fine pink dresses". This is a variation on "I'm selling these fine leather jackets", a running gag that started with Indiana Jones and the Last Crusade: The Adventure Game.